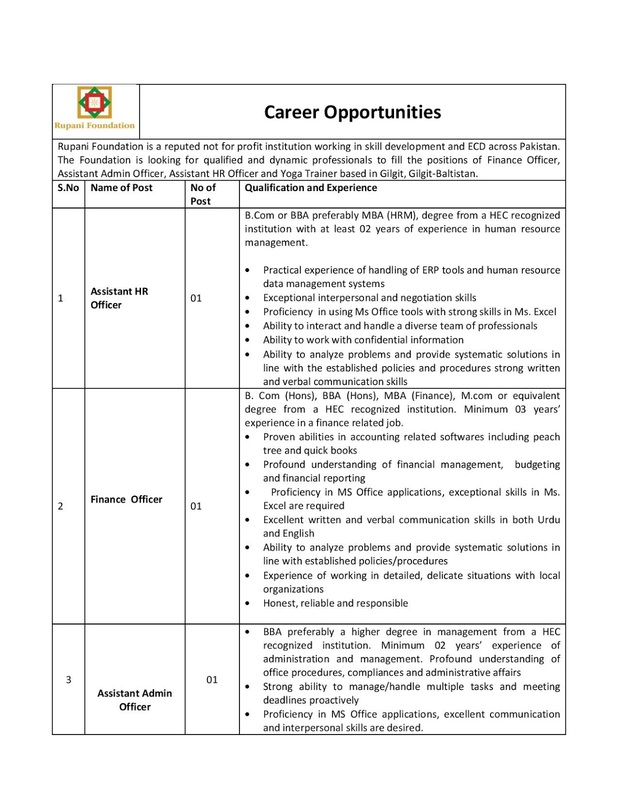 Rupani Foundation is a reputed not for profit institution working in skill development and ECD across Pakistan. 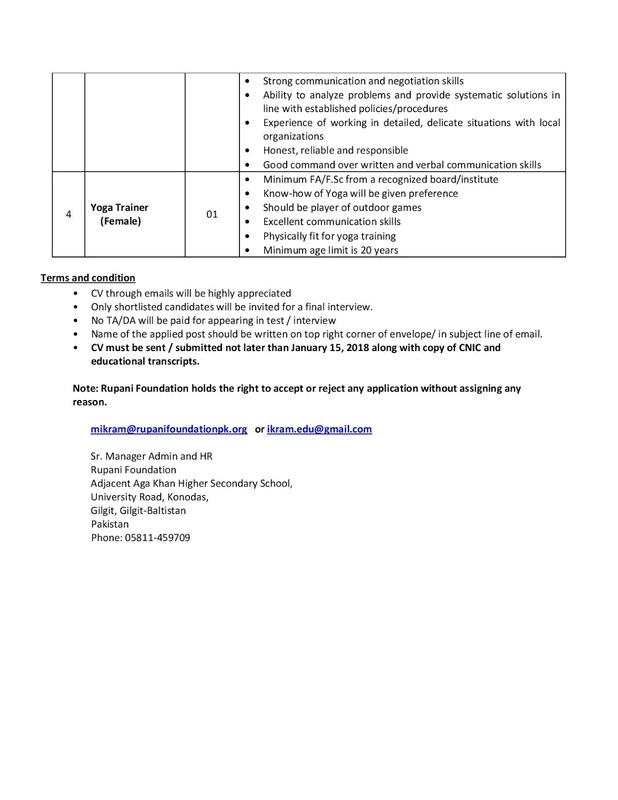 The Foundation is looking for qualified and dynamic professionals to fill the positions of Finance Officer, Assistant Admin Officer, Assistant HR Officer and Yoga Trainer based in Gilgit, Gilgit-Baltistan. • Only shortlisted candidates will be invited for a final interview.